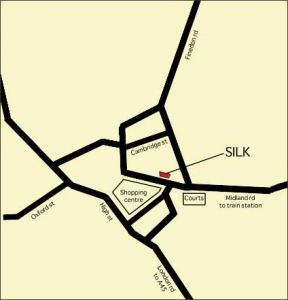 Silk is located in Wellingborough town centre, surrounded by ample parking (Matalan and the multi-story car parks). The train station is only a five minute walk along Midland road and the wedding registrar’s office is literally around the corner. Even though Silk is located in the town centre there are no public houses in the immediate surrounding area.